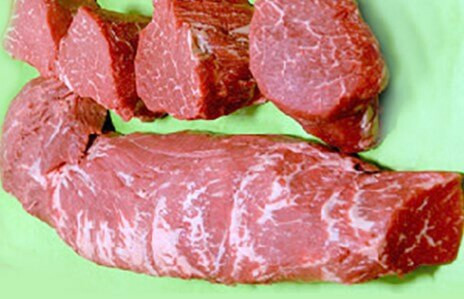 The most tender cut of all - a full tenderloin, including filet mignon. Best cooked hot and fast to maintain its signature tenderness, it is sure to make a melt-in-your mouth meal. "These tenderloins are wonderful: full of flavour and so tender that they cut like butter." - Lynn T.